Scroll down for more new photos! A space for everything and everyone, plus a beautiful view! Whether you’re single, a couple, or a family, a second bedroom is essential. 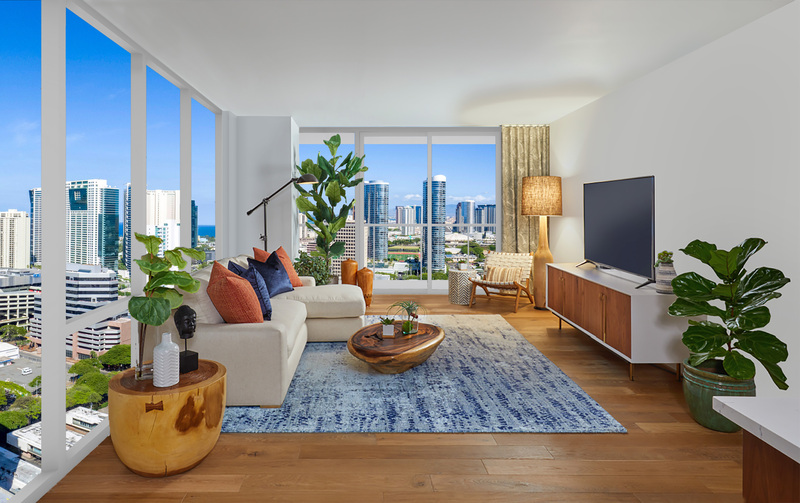 Our new images of this two-bedroom, two-bath home features a combination of real life photos of our model residence and renderings of the windows and views. 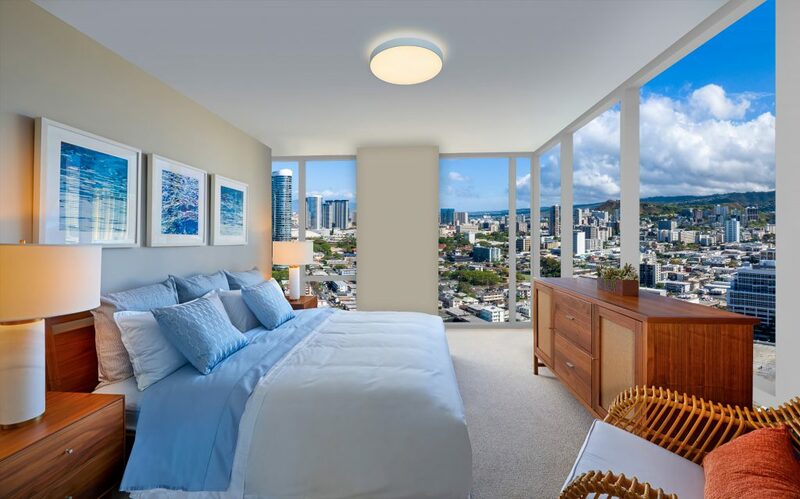 • Located on the Mauka-Ewa side of the tower, this popular layout is designed with floor-to-ceiling windows where you can enjoy the beautiful views. • Residences are designed with an open-concept kitchen and living/dining space, perfect for entertaining guests. • The spacious, 1,093 square-feet residence includes a master bedroom with walk-in closet, as well as a master bathroom complete with double sinks, bathtub, shower, and finished with Grohe chrome fixtures. 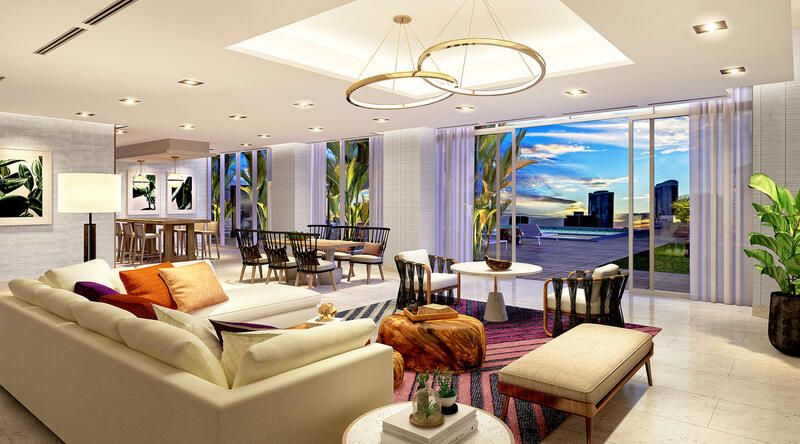 • In addition, you’ll enjoy signature Azure Ala Moana amenities including a pool and spa, barbecue cabanas, club lounge, and four guest suites, all conveniently located steps from all of Midtown Ala Moana’s conveniences. With 60% of homes sold in less than a few months, don’t miss this opportunity to become part of this well-established urban neighborhood. 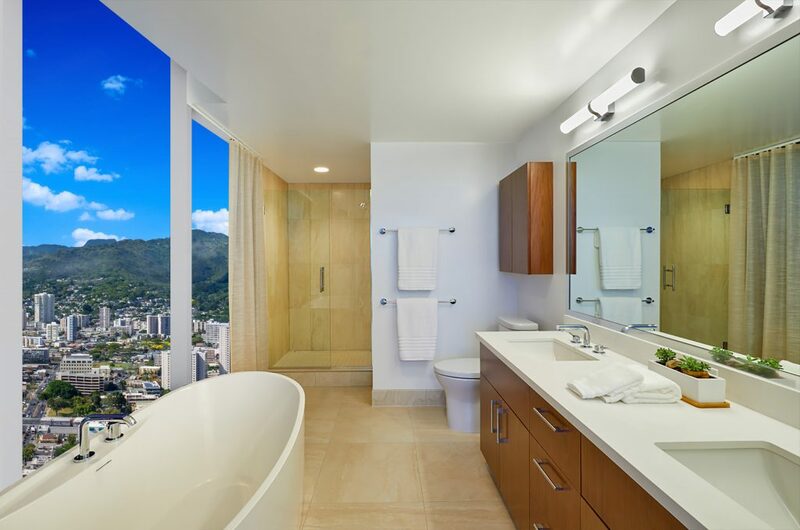 We invite you to visit our Model Residence located in the Pacific Guardian Tower at 1440 Kapiolani Blvd, 14th Floor.